Fern's mouth is healing from surgery so soup for lunch seemed like a good choice. I caramelized a diced onion then browned the chicken breast I had diced and coated with flour. Then I added a diced carrot and stick of celery. I added about 1.5 to 2 litres of chicken stock and a couple of bay leaves. Salt and pepper. 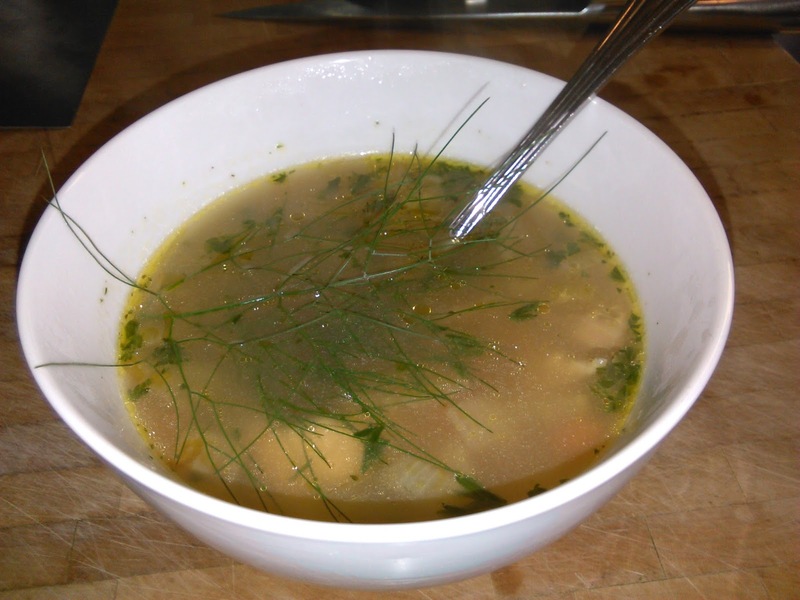 I plunked a sprig of fennel into it when serving but it didn't flavour the soup so took it out. I'll have to chop it up and add at the end to get the flavour. At least I finally figured out how to use it since it's growing in the garden anyway. Fern liked the soup, so did I.